Stunning Blue Heron masterpiece priced to sell! 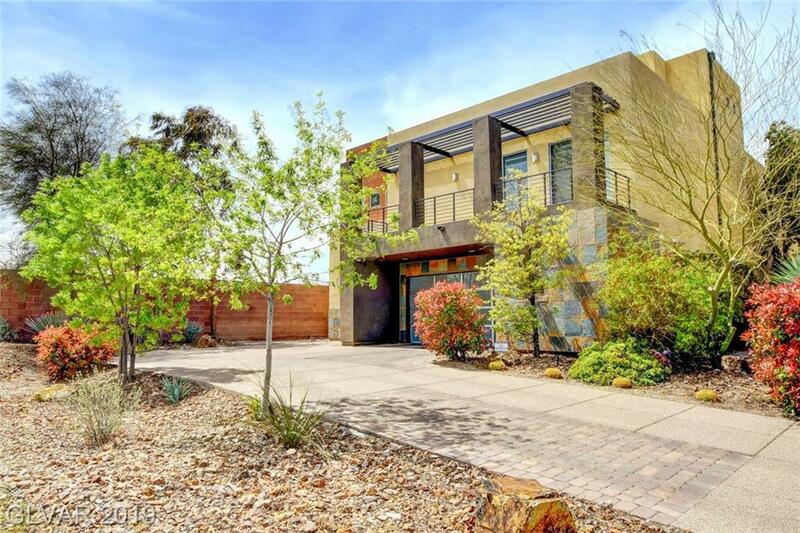 This contemporary gem features the very best of modern-architecture from an award-winning developer: enclosed courtyard w/ waterfall, private elevator servicing finished basement to the rooftop deck, sparkling pebble-tech pool w/ lighting and water features, dramatic 20-ft ceilings, palatial master with WIC and built-ins. Multiple fireplaces. Expansive rooftop deck with 360-degree strip views! Directions: From Sahara And Cimmaron, L On Laredo, Right Onto 22 Parkside And Through Gate. Home Is At End Of Cul-De-Sac On The Right.